This time of year gardens are growing everywhere. There are flower gardens and vegetable gardens just growing in the sunshine. So how about a herb garden. I know many people grow their own herbs and my daughter just started a small one herself. 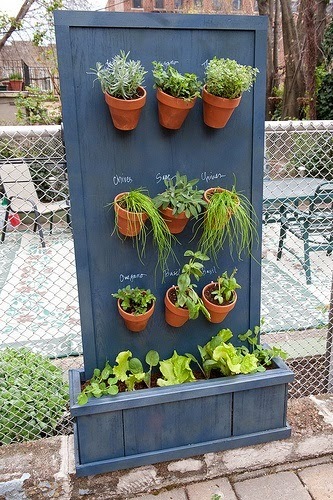 I saw this posting the other day and thought I would share it with you so you can get some ideas of starting your own outside herb garden. There are several ideas on this posting from TheIdeaRoom.